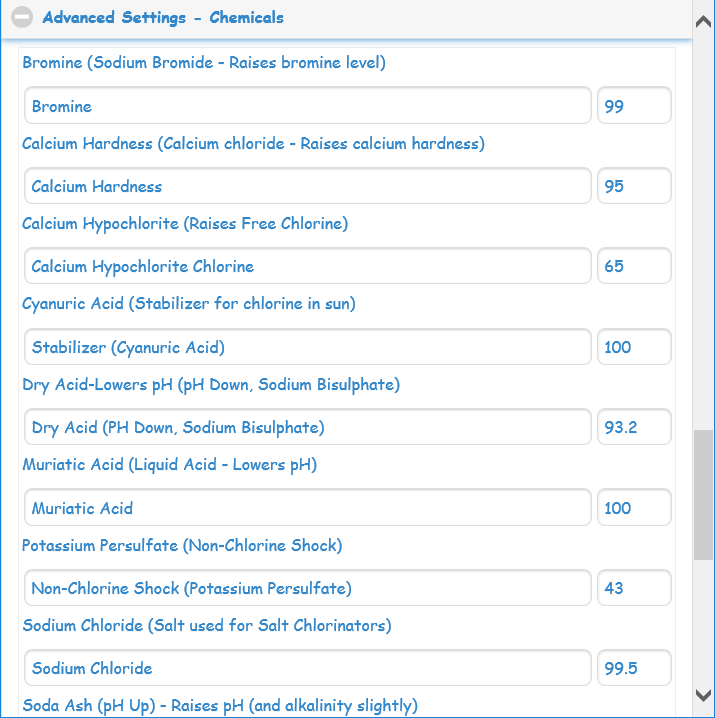 Simple 2 step process: Enter test kit results and see treatment recommendation in seconds. Instant visual and technical feedback. No buttons to press! STOP THROWING MONEY AWAY ON CHEMICALS YOU DON'T NEED! Our easiest to use but yet most advanced software yet! 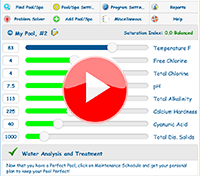 Designed to be used by first time pool owners but has numerous advanced features to satisfy the savviest pool technician, pool service company or pool store faced with the challenge of maintaining multiple pools and spas. Unlimited support! FULL UNCONDITIONAL 30 DAY MONEY BACK GUARANTEE! 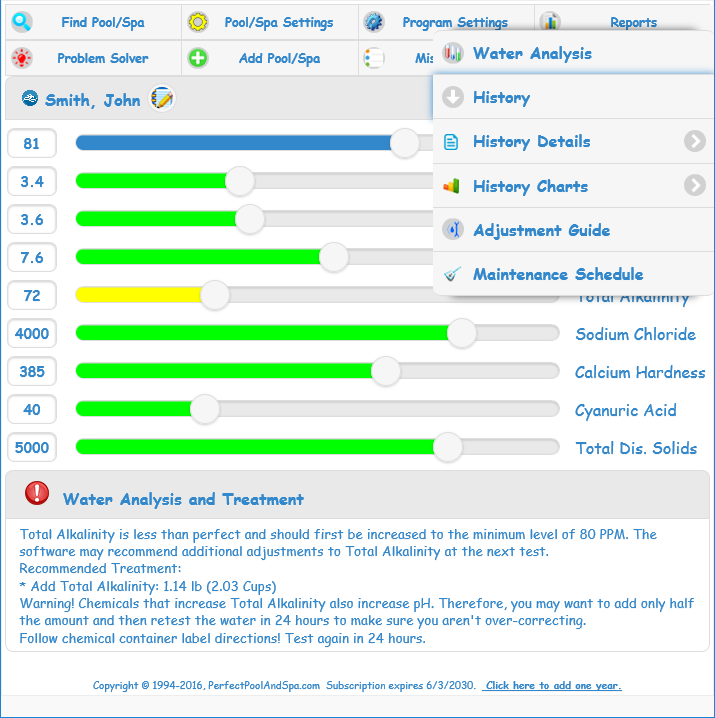 Just enter the test results and get instant recommendation on how to correct water problems. There are many instant visual cues too. RED indicates a problem. Green indicates everything is OK. RED sliders indicate the test is above the ideal range. Yellow sliders indicate the test is below the ideal range. Green sliders are in the Perfect (Ideal) range. All indicators Green indicates a Perfect Pool! All information entered is save automatically to a detailed history file for viewing later. You can add an optional note to this test session. 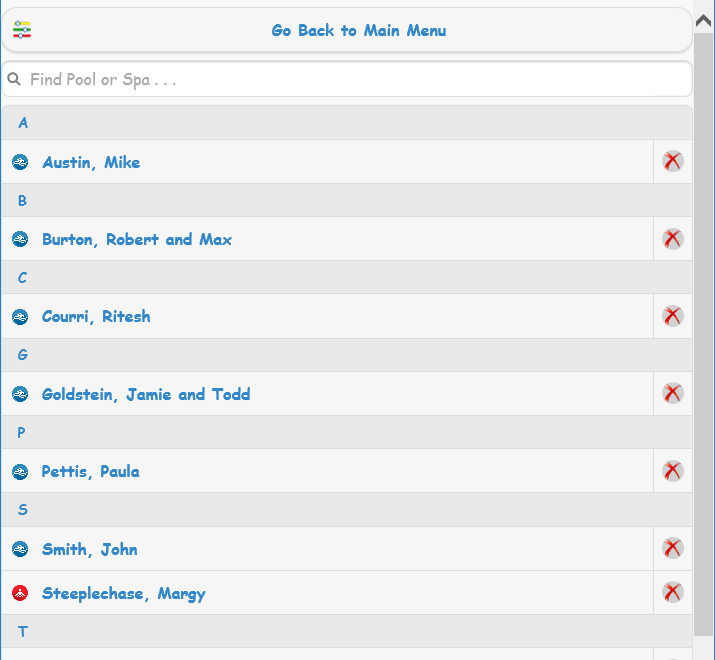 Go to the pool list if you have many pools and spas. A Blue icon represents a pool. A Red icon represents a spa. Narrow your search by simply typing a few characters. 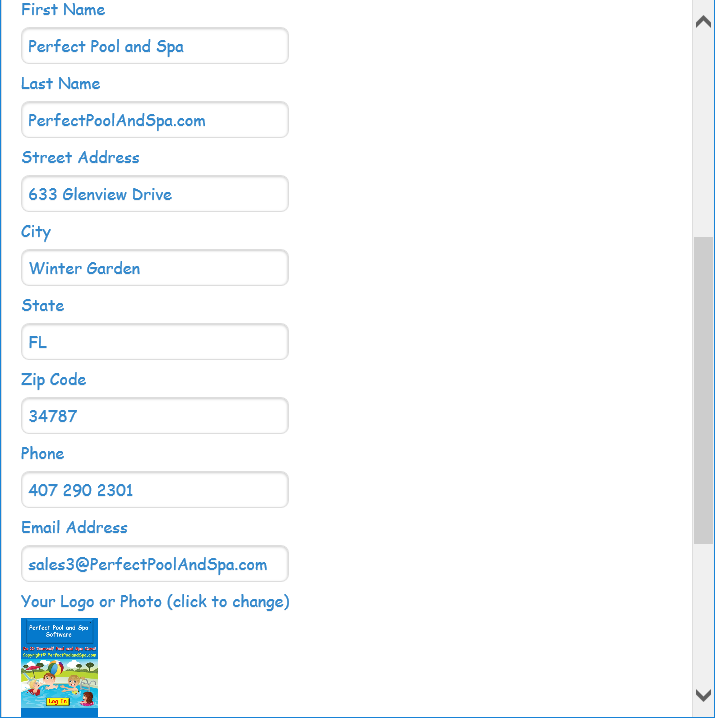 Each pool or spa can be set up using different sanitizers and extensive optional information. 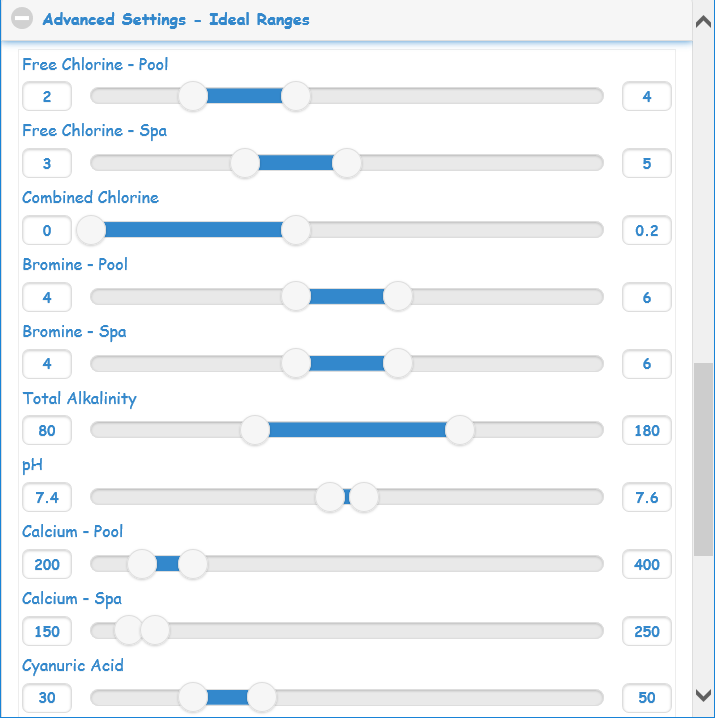 If you are not sure of the volume of your pool or spa just click on the Water Calculator button. 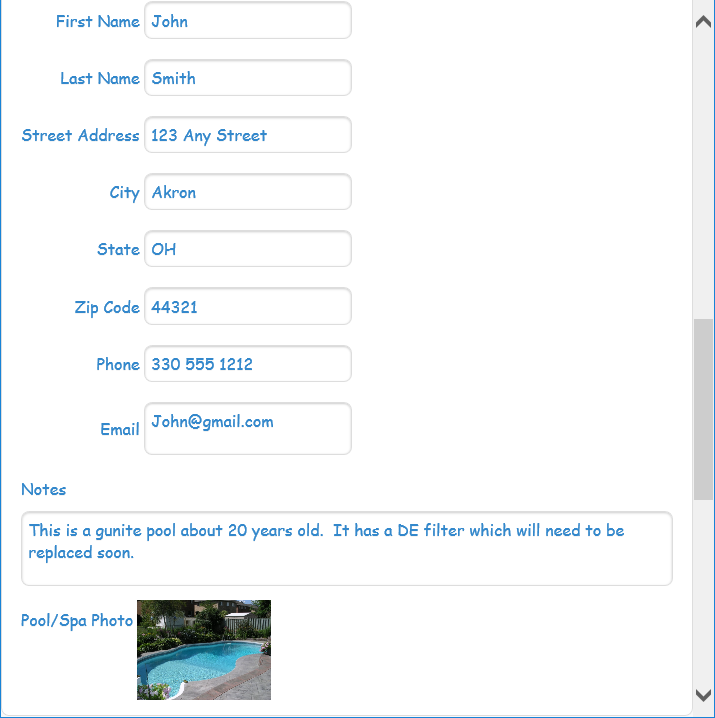 Optionally add detailed information about this pool or spa. You can add extensive notes and even a photo! Optionally enter heater information. You can select a variety of types. Just enter what you know such as square feet, BTU's, Kilowatts or Tons. 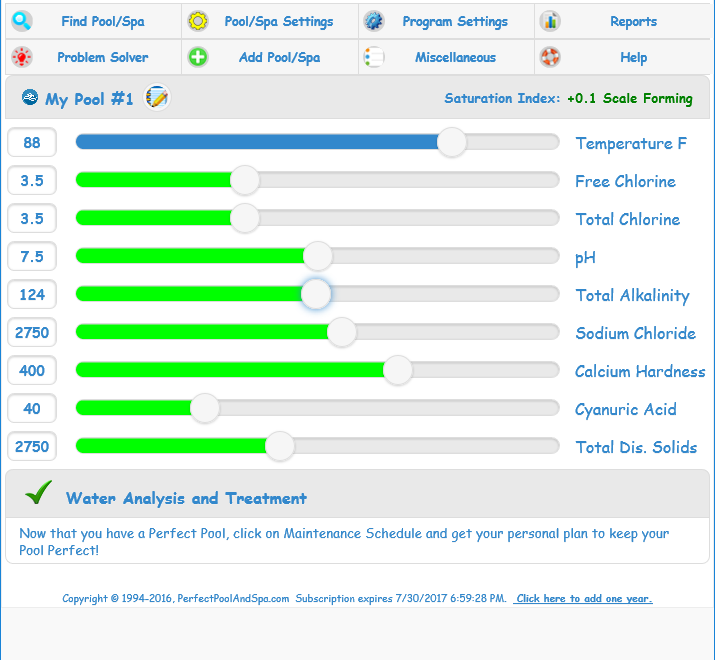 The instant calculator will tell you how long it will take to heat this pool or spa. The Program Settings screen allows you to really customize the software. Beginners can just leave the defaults. 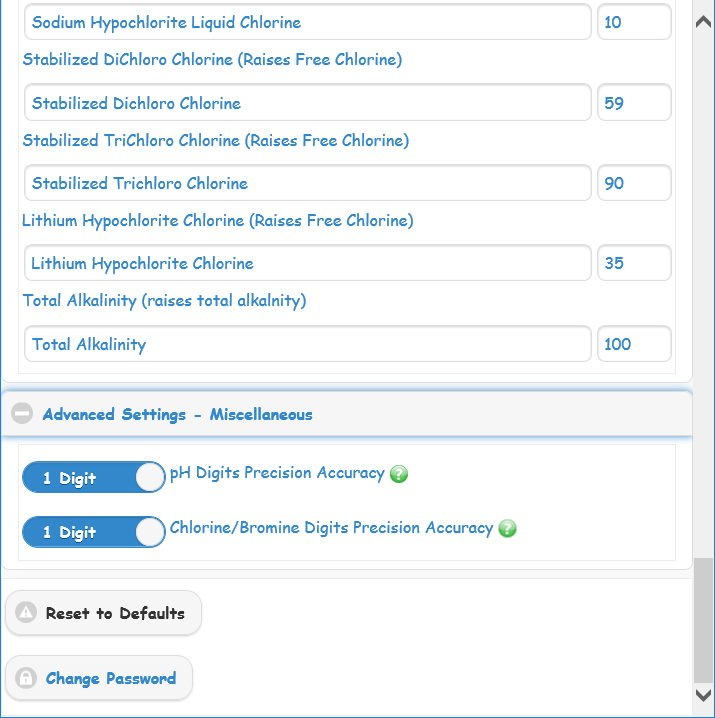 Professionals and gurus and customize which tests to use, how calculations are displayed, adjust ideal ranges, change chemical names and active ingredient percentages. 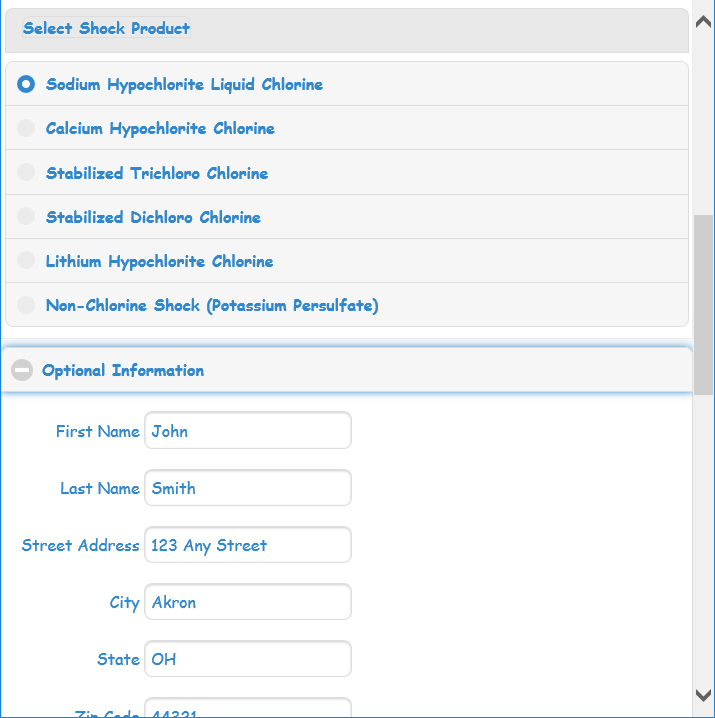 Optionally enter your information which will be used in customized reports to yourself or customers. The logo you select will also appear at the top of reports. 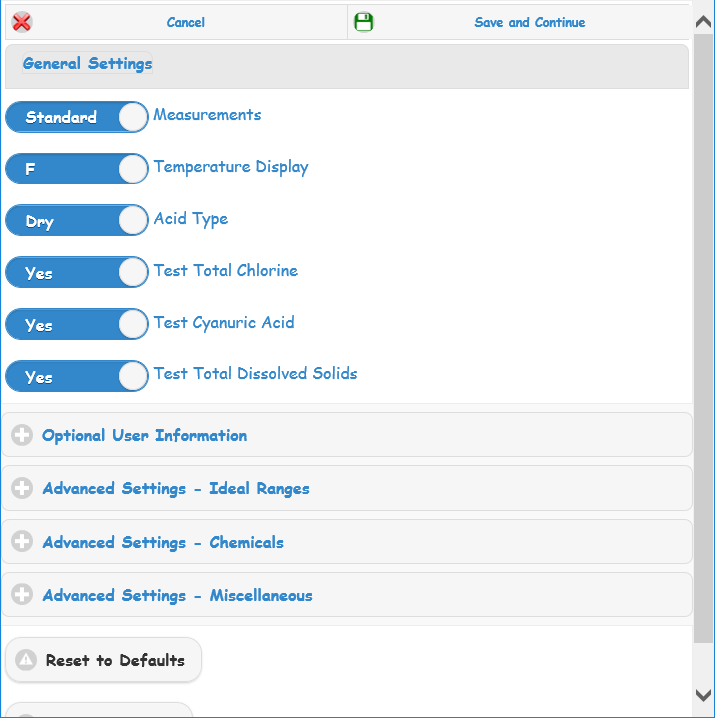 Change the ideal ranges settings if you like. By default the software is set up using ANSI pool and spa standards. These are also the typical ranges used by local health departments. An even longer text below the image which should take up multiple lines. 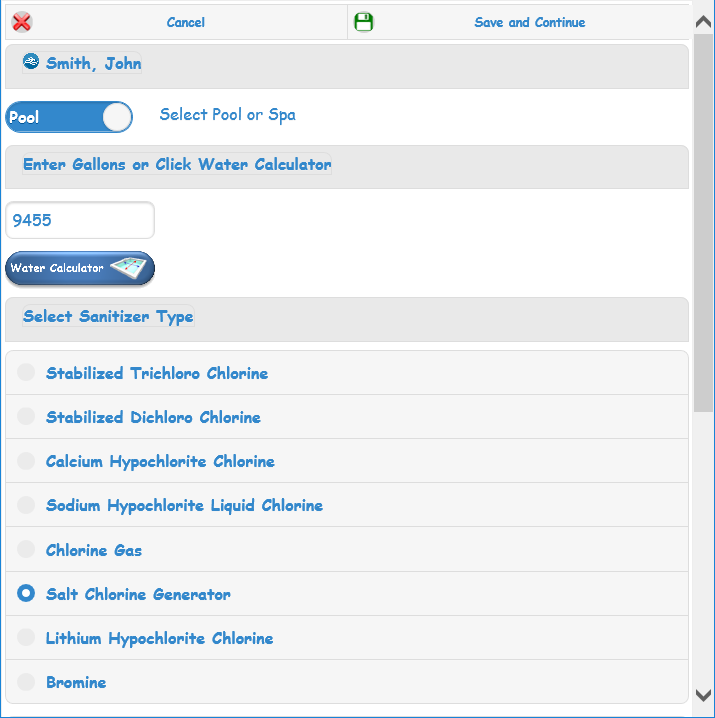 Chlorine, Bromine and pH are typically entered with 1 digit precision. If you are using an electronic tester you may want to extend this to 2 digits. However, 2 digit entry will also demand making more frequent water adjustments. 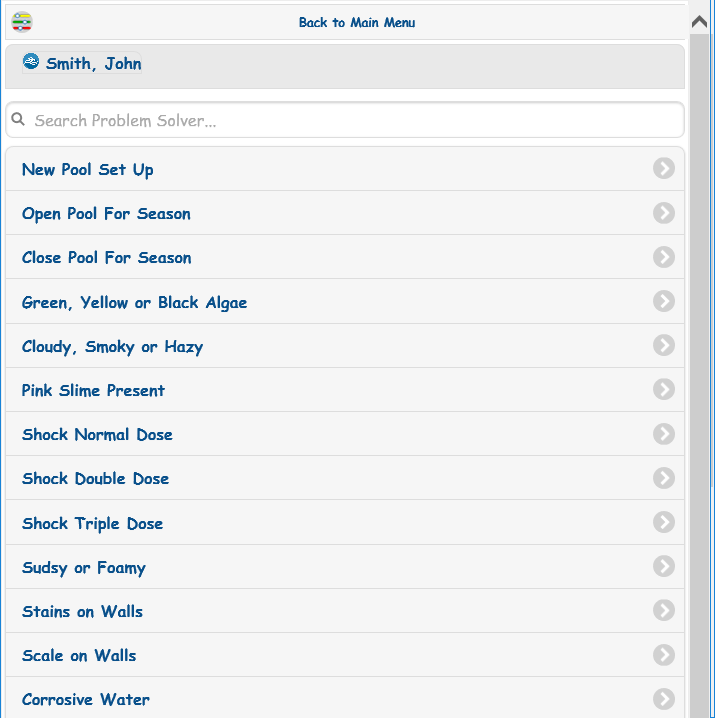 The problem solver list helps you tackle common water problems. The recommendations are calculated specifically for the pool or spa you have selected. 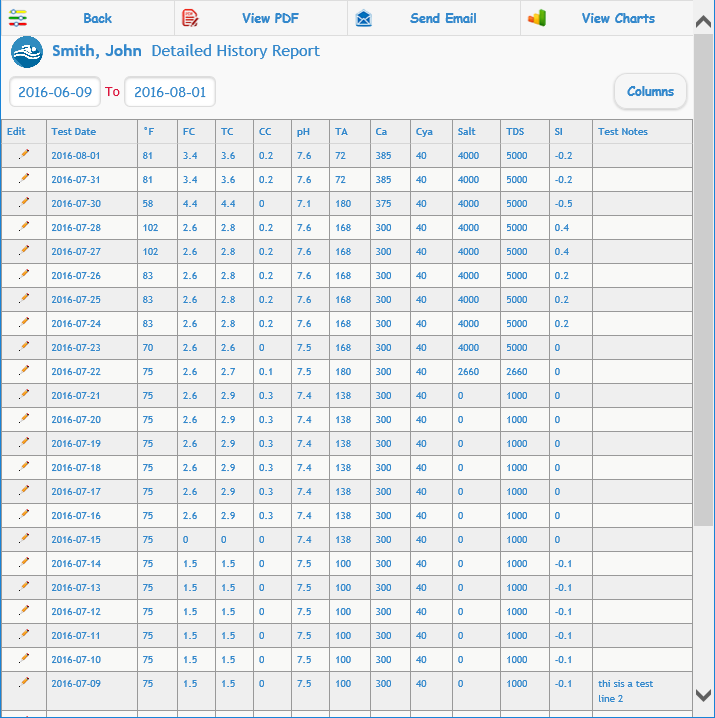 Several customized reports are avalable for viewing either in PDF format, grid format or for just emailing to someone. Each test is saved in a very extensive history database. You can view, edit or email this list. The list can be narrowed to a specific date span. The graphical charts reflect the historical data. 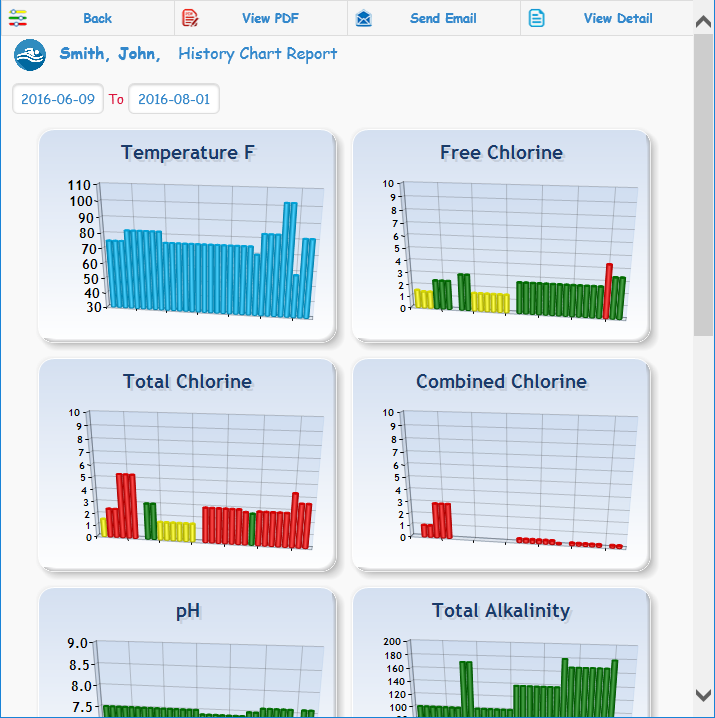 A quick glimpse enables you to see the trend of different water factors. This report can be narrowed to a specific data span, viewed as a PDF document or emailed. 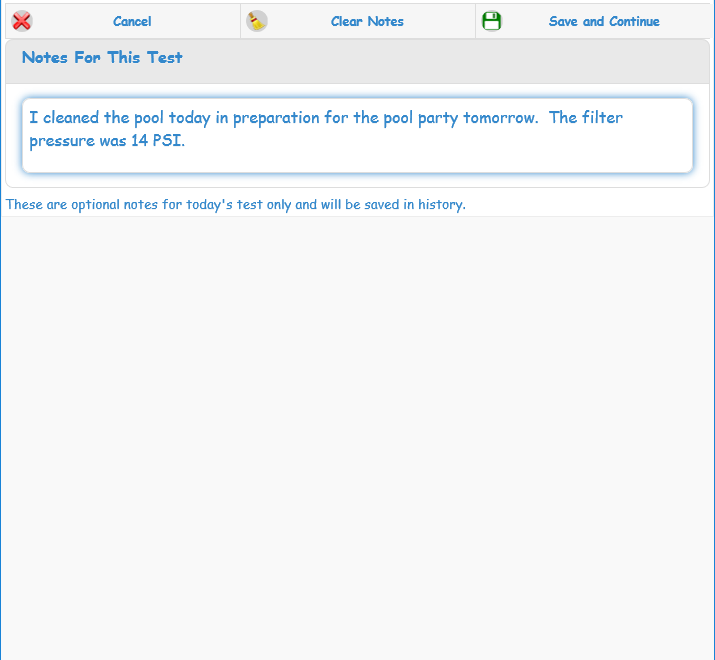 Your pools, spas, program settings and history are stored safely on our website so you can access it from anywhere. You can download a copy of your data anytime into an Excel spreadsheet format for archive and back up purposes. 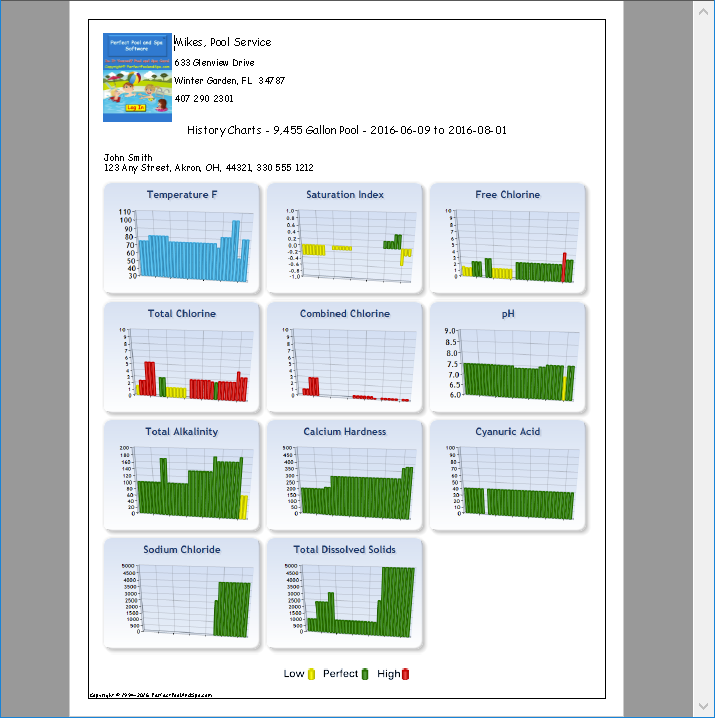 This is an example of a PDF chart report. 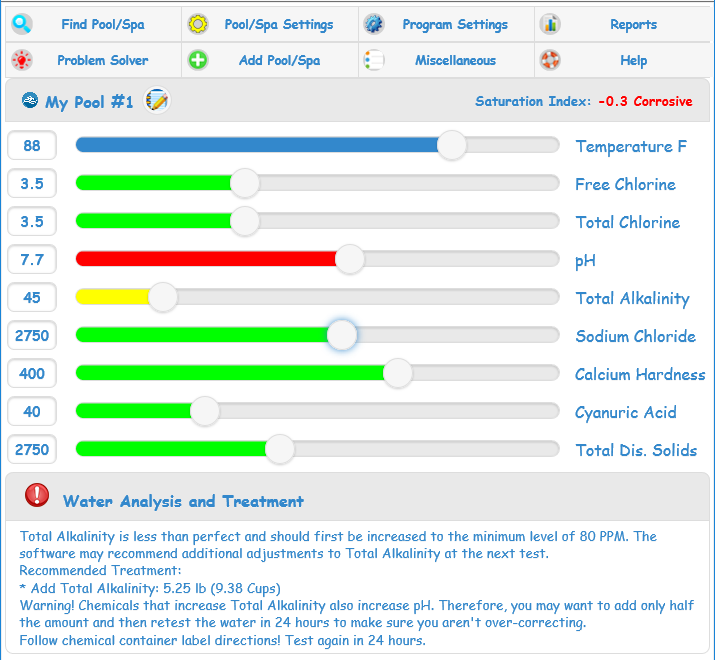 The report is customized to your pools, spas and program settings entries. 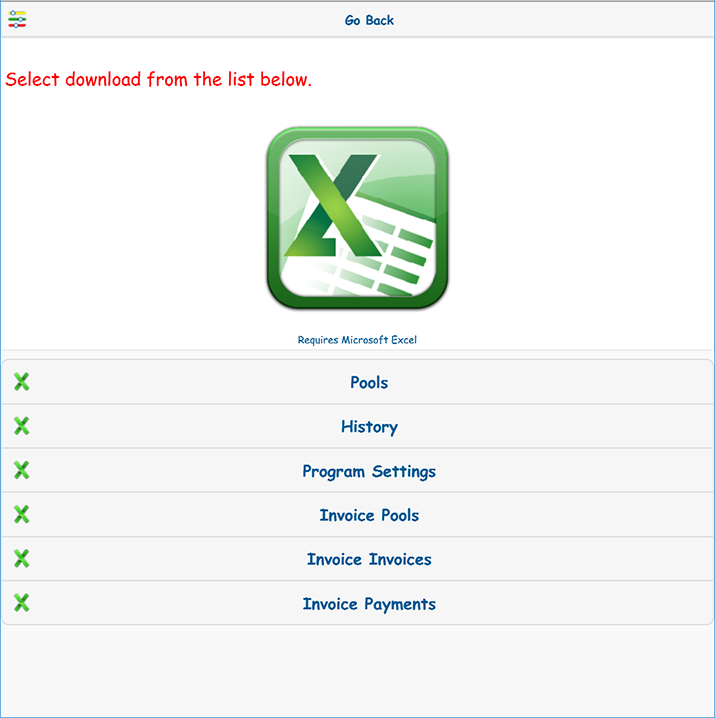 The report can be printed, viewed, saved and emailed from the software. 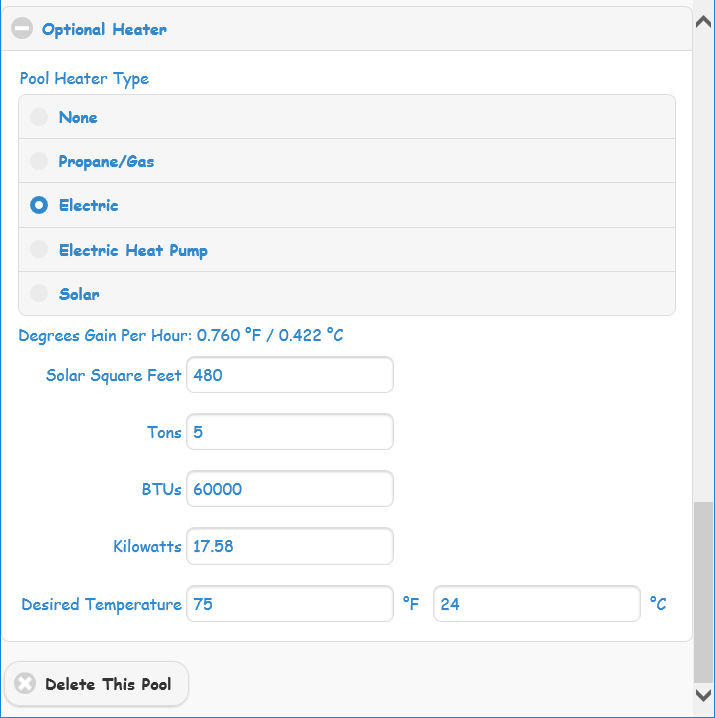 The custom water calculator is designed to help you calculate the volume of your pool or spa. 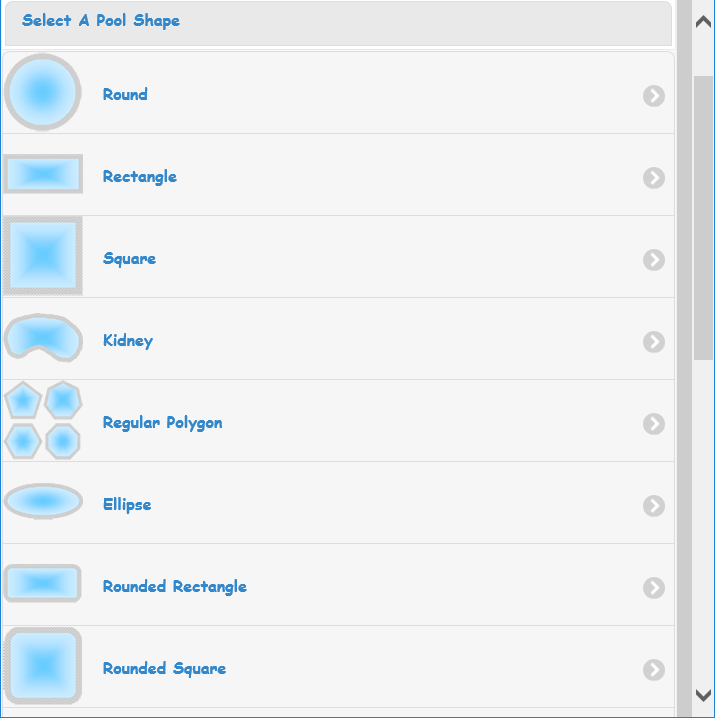 Just select a shape from the list and enter dimensions. 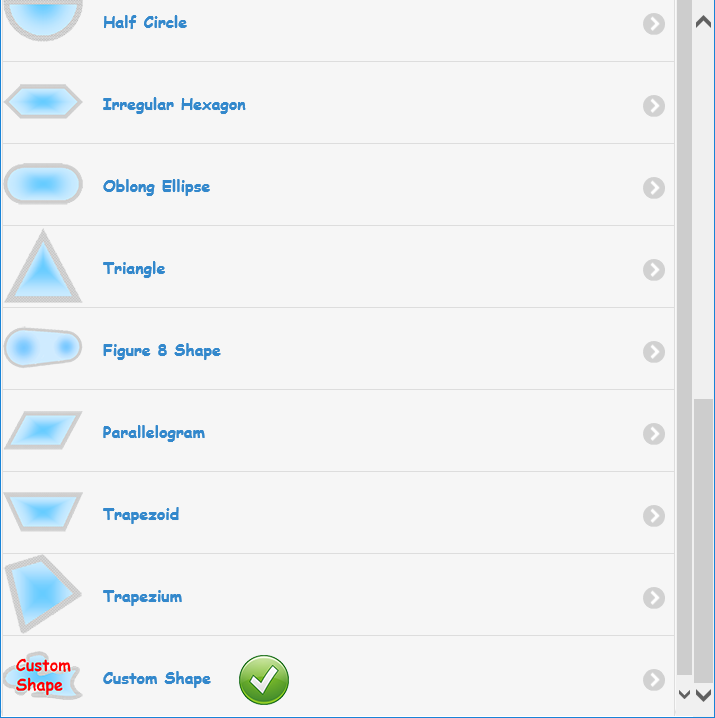 Many common shapes are listed. If you can't find the shape you're looking for, select Custom Shape. The calculatons are done on the fly. Select Feet or Meters. Select whether the sides are sloped and the measurments. 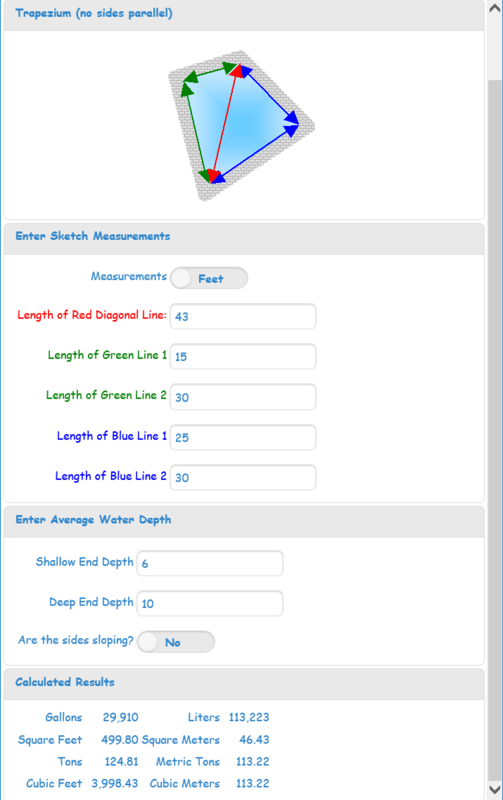 The custom pool calculator allows you to design a pool in any shape. The volume is instantly calculated as you change the shape. Just click or drag on each point until you get the shape you're looking for.